Hey guys. Remember me? 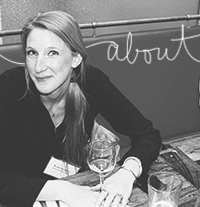 For those of you concerned with my disappearance from the blogosphere (i.e. Mom), fret no more. My three-week rut of eating popcorn and tomato soup for dinner is officially over. O-V-E-R. But if you’re looking for something slightly less college and slightly more vegetable-y, read on. Let’s talk tofu. After losing too many tofu battles (with battle scars, I might add) to a sauté pan, I refused to call it quits. Instead, I popped that compacted soybean block in the oven, and have yet to struggle to wedge a spatula between tofu and a hot pan since. The glaze for the tofu is dead easy with Thai sweet chili sauce as the base, but the flavor payoff is huge. 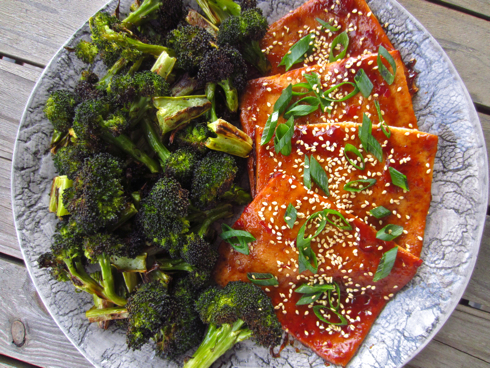 Topped with onion-y scallions and crunchy sesame seeds, then accompanied by just-charred broccoli – This is a healthy, quick weeknight meal that, if cooking for one, allows for just enough lunch leftovers the next day. Using a knife, slit the package of tofu open and drain out all of the liquid. Remove the tofu and pat dry with paper towels. Rest the tofu on the longer side, and use a sharp knife to carefully cut it into four large slices (lengthwise). Lay the four slices of tofu on a few sheets of paper towels, place more paper towels on top, then cover with a heavy pan. Allow the tofu to drain. Meanwhile, make the glaze by whisking together the chili sauce, soy sauce and sesame oil. Set aside. Line one baking sheet with foil. Cut about half an inch off the broccoli stems. Cut the head of the broccoli into florets, and slice the remaining stalk. Place all of the broccoli on the baking sheet, drizzle with olive oil, and sprinkle with salt and pepper. Toss to coat. Set aside. Line a second baking sheet with foil and coat liberally with cooking spray. Place the four drained tofu slices onto the foil. 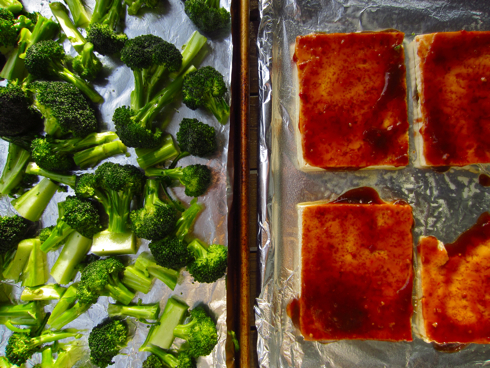 Divide the sauce among the tofu, and use a brush or the back of a spoon to evenly distribute the glaze. Place both baking sheets in the oven. Cook for 20 minutes, then toss broccoli. (The side facing down will brown, so try to ensure all of the brown sides are now facing up.) Cook for another 15-20 minutes, until other side of broccoli is slightly charred. Remove both baking sheets from oven. Top tofu with scallions and sesame seeds, then serve hot. I don't know, popcorn and tomato soup sounds pretty good to me! 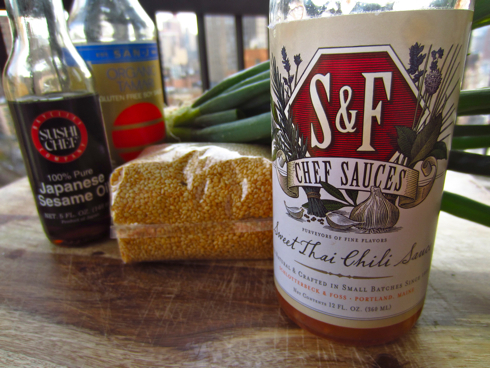 I'm going to hunt down some sweet Thai sauce so I can make this. 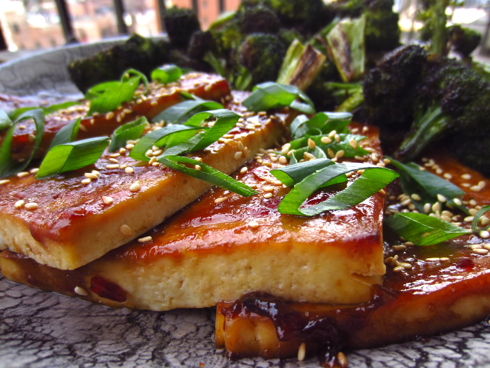 This tofu recipe looks easy and delicious. My boyfriend is super skeptical of tofu but I think this may sway him! To follow up on my earlier comment - I have made this now twice and cannot believe how tasty the sauce is! I am going to use this sauce combo for other things as well such as chicken, pork and whatnot. Thanks for sharing! So psyched that you like it!! I think the secret is the sweet thai chili sauce.. it's good on EVERYTHING. My dude even puts it on pizza. Which I can't say I wouldn't try myself ;) Thanks for commenting, Veronica!